Learning to save money is the best way to live frugally and be prepared for lean times all at once. Teaching children how to save money early in life, will pay them great dividends in the future. 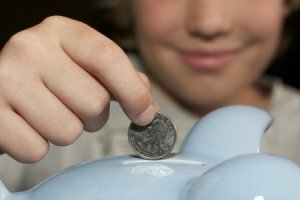 This is a guide about teaching children to save money. Teach your kids to save their extra penny. 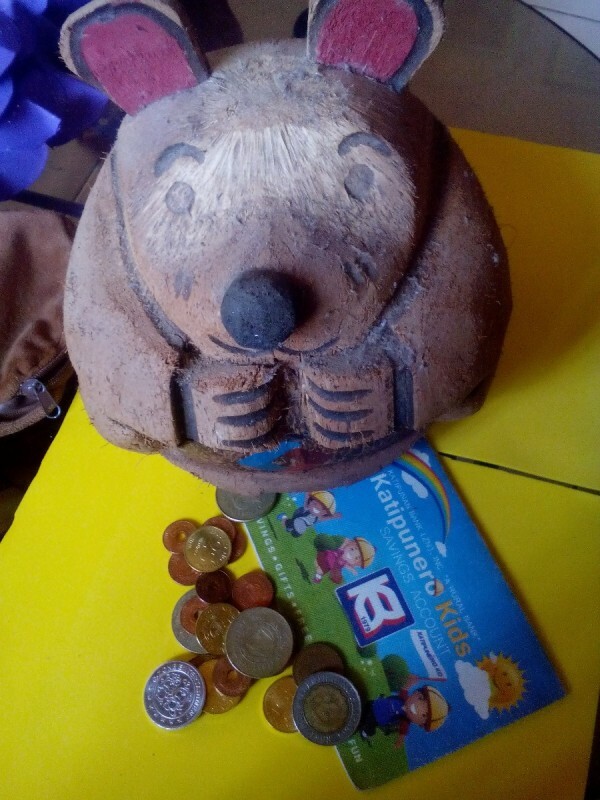 I have this coconut bear coinbank which I got four years ago. This was a freebie from opening a kiddie bank account for my child. The bank gave this to encourage parents to teach children to keep at least a single penny a day. 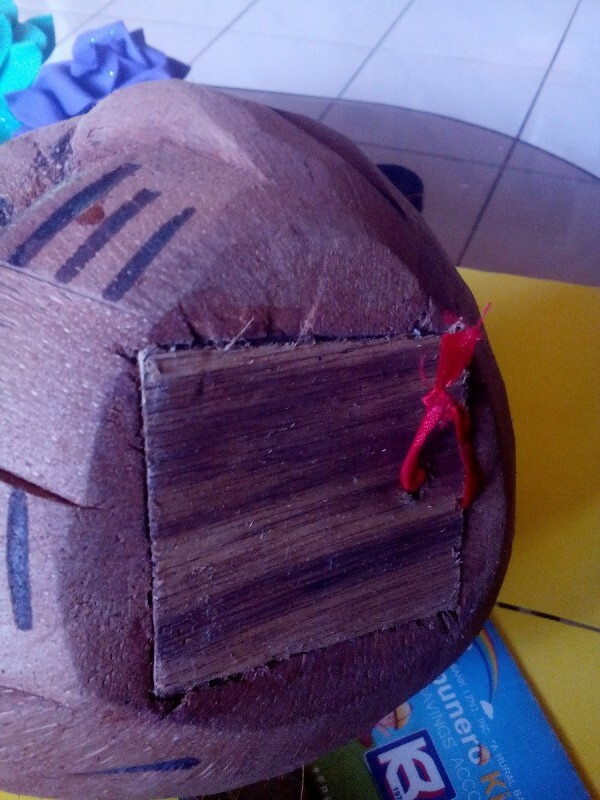 I displayed it on the living room and served as a sinking fund collector. Some family members sometimes drop in their coins. When it's full, we bring it to the bank and deposit it. It has a sealed cover on the bottom that the bank opens to get the coins and they reseal it after. This is a thrifty idea that we have to teach our kids. Drop a single penny a day in a coinbank and increase the amount inside by saving it in the bank. It will earn interest and you will also benefit from it in the future. I was able to use some funds for my kid's first school enrollment. And I even do that for myself as an adult. It's quite fun having a personal coinbank. Encourage your child to save half of any money that they receive, whether it is from their allowance or a gift. Work with them on how they would like to save the money. Would they like a piggy bank or would they like to open a bank account? Have them participate in dividing the money and making the deposit. Talk with them about what they would like to save for and how they would like to spend the other half. If you keep them involved and make it fun, they will be more willing to save their money. Teaching them to be financial smart at a young age will pay off as they grow up. I have 4 young kids that each have a piggy bank for collecting coins and putting their allowance in. When the banks are full we take them to the bank and deposit them in their accounts, usually around twice a year. When there is an extra chore to be done, I will give them a quarter or 50 cents to do it and that also goes in the bank. When they get their allowance it is also in coins, and I was finding that I kept having to go to the bank to get change to pay them their allowance and for the chores. I finally figured out that when the banks are full, we count out the coins and I write each child a check for the amount they have in their piggy bank and we deposit that in their real bank account. Then I keep all the coins that they had in the piggy banks to pay them for chores and allowance for the next 6 months or so. It works great and they have gained so much from having their own money to spend at Christmas, at yard sales and when they want to save up for something. This way it's just a little easier on me to keep a good thing going.